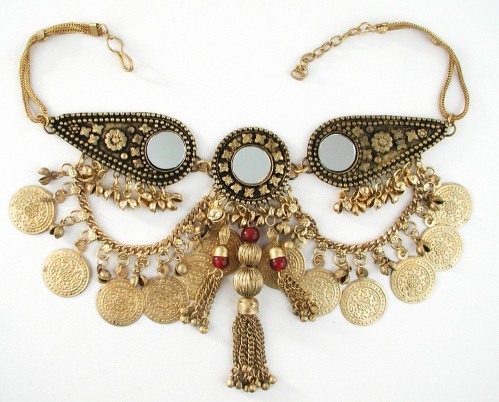 Tribal style belly dance necklace with mirrors and coins. Comes in silver or brass finish. FREE SHIPPING when purchased with other item. Don't forget to check out the matching belt, item #JW125. Hear the beautiful tones of this necklace below! 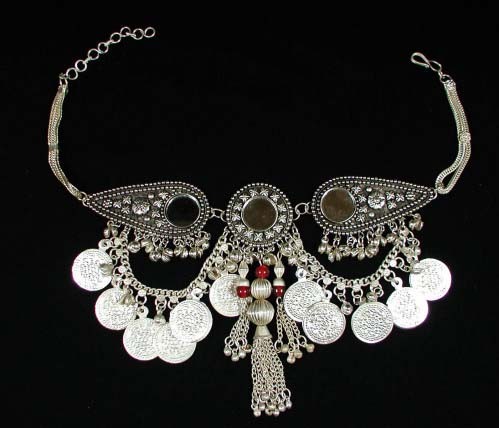 If you don't see what you're looking for, explore the other pages of this site: Tribal style belly dance necklace with mirrors and coins. Comes in silver or brass finish. FREE SHIPPING when purchased with other item. Don't forget to check out the matching belt, item #JW125. Hear the beautiful tones of this necklace below! Won't play? 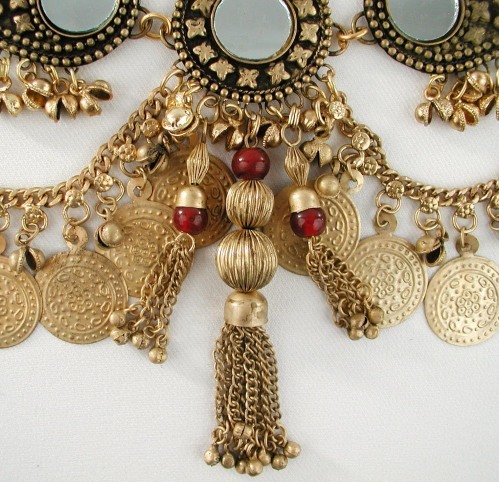 Download here (193 K .wav) Labis Necklaces, Coin and bead necklace and ear rings, Belly dance costume, belly dance hip scarf, belly dance zills, dancing swords, belly dance coin tops, belly dance choli tops, coin tops, harem pants, and belly dance jewelry.